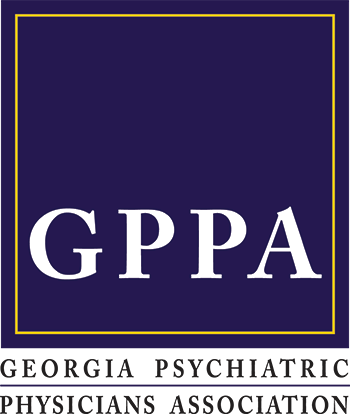 The Georgia Psychiatry Political Action Committee (GP-PAC), on behalf of the Georgia Psychiatric Physicians Association, represents the political interests of Georgia psychiatrists and their patients. Contributed funds are used to show bipartisan support of our friends in the Georgia legislature who champion the causes and concerns important to psychiatry and medicine in our state. Our mission is to maintain and strengthen political support for legislative issues facing psychiatrists and their patients in Georgia. We do this by gaining support from the psychiatric community and supporting elected officials who champion our causes. The GP-PAC helps these officials get elected and re-elected, so they can continue to help our patients and our profession, as the force of opposition grows stronger. Scope of practice expansion for psychologists to include prescribing rights is an ongoing issue facing psychiatry in Georgia. Fortunately for patients, we have legislative champions under the gold dome who object to this proposal. On the other hand, there are legislators that fail to recognize the difference in education and training between psychiatrists and psychologists, and the proper role of each in treating people with mental illness. Our state mental health system needs attention. We need to elect legislators who care. Third party payor issues are crippling psychiatric practices across the state. Intervention may require legislative action. We must ensure that our supporters have the resources to remain in office. The GP-PAC must remain engaged in policy debate in the political arena. As we face well-organized, well-funded and determined adversaries who expend resources on capturing political clout, we must be equally well prepared. Our friends in the legislature will help us stand strong in support of what is in the best interest of patients and practices. Without the support of informed officials, the integrity of medicine and patient safety in Georgia will be in jeopardy. You can help preserve the autonomy of medical practice, patient safety, and the physician's control of medical decisions. Show legislators that you care about maintaining the quality and integrity of psychiatric care. Our elected officials need to hear from you about how medicine should be practiced now and in the future!